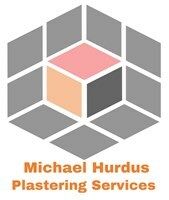 Michael Hurdus Plastering Services - Damp Proofer, Plasterer based in Wrenthorpe, West Yorkshire. At Michael Hurdus Plastering Services we pride ourselves in quality workmanship & expert service,. We have carried out work across Yorkshire and surrounding areas and have been Est 15 years. Our aim is to provide quality workmanship . All aspects of Plastering, Damproofing and Rendering. Each job we undertake will be treated as if the job is in our own home. We are very thorough in our approach and we will keep you informed and up to date with any developments on the job as they happen. We have a wide range of trade contacts that we are more than happy to recommend to you. We are also aim to meet deadlines and get the job done. homeowners, landlords and businesses with the kind of smooth, unblemished coating that only a skilled craftsman can provide. Along with plastering, we're also on hand to help you transform your spaces with wall partinioning and suspended ceilings. If you need a perfectly smooth surface to start breathing new life into that worn out old room, or whether you're looking for a professional touch to your new build home, talk to us today to find out more about what we can do for you. Wakefield, Wrenthorpe, Outwood , , sandal All WF postcodes , Leeds , Morley , East Ardsley, Barnsley , Yorkshire .